​Fauver Stadium on the University of Rochester campus is named for Edwin "Doc" Fauver, MD (1875-1949), Professor of Hygiene & Physical Education, College Physician, Director of Athletics 1916 - 1945, Designer of the River Campus athletic facilities. The 5,500 seat stadium has been the host site for numerous conference and NCAA events including Liberty League football, lacrosse, field hockey, UAA soccer, NCAA soccer and NCAA field hockey. 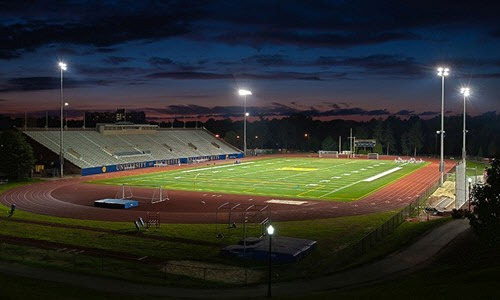 Additionally, over 140 All-Americans have competed in Fauver Stadium at the University of Rochester.